So college is just around the corner, and you know what that means… a little something I like to call “Dorm room Prep”. Since I’ll be moving out on my own and my dorm room is where my roommate & friends will be hanging outt, I want my dorm to not only be comfortable, but lavish in its own way. Since the college I’ll be attending is all about being green and sustainable, I wanted to share the best secret any campus, sustainable or not, would be lucky to enjoy in their dorm. This is my story of lavishly living dorm prep out loud with HOTSHOT. As I mentioned earlier, my college is all about being green and helping the environment, but I’m sure just like any other college, burner plates are not allowed, so where and how do I get a quick fix of coffee before class? Sure, you could buy an instant coffee maker, but you’re always having to refill the water for it and even dropping a ton of money on K cups for a one time use… but that’s just senseless when you can be using a Hotbox. 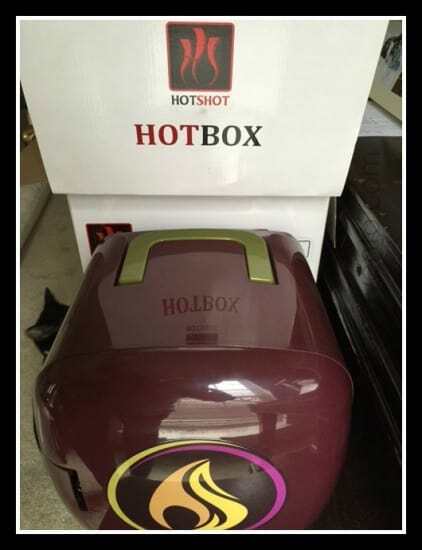 Hotbox is the first ever “hot fridge”! Essentially, when you buy the Hotbox, you also buy individual coffee cans to go inside of it. 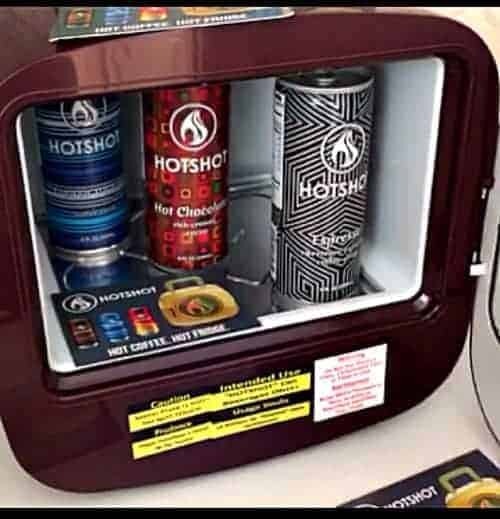 You plug in the Hotbox, pop in your can(s) of coffee(HOTSHOTS) of choice and voila you have fresh, hot coffee in a can ready to be transported without a hassle. You don’t have to worry about refilling the water dispenser or even not being able to drink your coffee for a while because it’s too hot! The cans of coffee come in 8 ounces and once their warmed in the Hotbox, you pop open the lid like a soda can and it immediately releases a coolant that makes the can a perfect drinking temperature. Here’s another “hot” hint- the cans labels are insulated, so when they’re done being warmed your hands will be protected from the heat and you won’t burn them, no more of the wasted coffee collars! The cans are stored by day and night at a constant 140 degrees, and it is the perfect temperature to drink from. HOTSHOT coffees are delicious, too! They come in different flavors and there’s even a hot cocoa flavored can for when you don’t really feel like having coffee. The Hotbox can warm up the cans of coffee or cocoa storing up to 9 HOTSHOT inside the Hotbox. These are staying at a perfect 140 degrees and ready to greet your lips and belly whenever you are ready! Dorm room prep may be stressful, but it doesn’t have to be once you have a good, simple list of essential items and of course an essential has to be the Hotbox loaded with HOTSHOT coffee whgere you will find always hot coffee ready to go. This has a few more days for funding on KickStarter so you can become part of this latest and greatest ‘hot fridge’ . You don’t have to be going to college to use this amazing invention however, because it’s perfect for your kitchen or your office too! More posts about dorm prep coming soon… but for now, cheers to the HotBox by HotShot and don’t forget to stop by KickStarter to become a backer!. Lavishly living coffee out loud with HotShot a must have appliance in every home, office and dorm. Product was provided by a PR Firm in exchange for my true opinion as set forth.